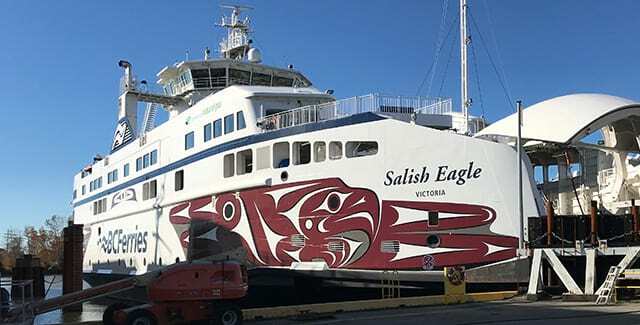 Vancouver Ship Repairs by Meridian Marine Inc.
New Construction & Ship Repair. 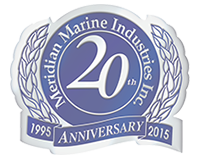 Welcome to Meridian Marine Industries Inc.
Meridian Marine Industries Inc., a Vancouver, B.C. Ship Repair Facility, was founded in 1995 by principals with extensive experience in ship repair, new construction and off-shore services. In January 2011, MERIDIAN MARINE (EUROPE) was established offering sound Technical Services to the European Marine Industry. In order to establish a close relationship with our clients, our Technical Manager is strategically located in central Europe. We are a 24/7 mobile operation, and have done routine and emergency work in New York, Houston, South America, Caribbean, and Europe on various vessel types (tankers, cruise ships, container ships, passenger ferries, tug boats, barges, fish boats). Service excellence and reliability require continual upgrades in technology and a deep belief in innovation. Years of experience have taught the management team that there are solutions to most, if not all, problems. It sometimes takes new approaches, new materials or new work practices to meet the challenge and Meridian Marine has built a business on that basis. The Company's work is certified by Lloyd's Register Quality Assurance Standards ISO 9001:2008, Germanischer Lloyd Rules for Welding, and the Canadian Welding Bureau. It is the policy of Meridian Marine Industries Inc. to ensure customer satisfaction by providing products and services that consistently meet and exceed the requirements of the customer´s specifications or class requirement. Our policy reinforces our commitment to provide our customers with the superior service that has earned us the respect and recognition of vessel owners worldwide. Website Development & Hosting by We Think Solutions Inc.